Mindfulness has infused itself into just about every nook and cranny of the wellness space. You can eat mindfully, breathe mindfully, and exercise mindfully. But did you know that you can also age mindfully? Mindful Aging. Practicing mindfulness has been shown to ease feelings of stress, anxiety, and even depression. Similarly, adopting a mindful POV about aging will help you live an authentic, joyful life, so you can make the most of your later years, says Andrea Brandt, PhD, author of the forthcoming book Mindful Aging: Embracing Your Life After 50 to Find Fulfillment, Purpose, and Joy. “When you age mindfully, you are fully aware and accepting of the challenges that come with the aging process, but you’re also aware of—and seizing—the opportunities that come with being blessed with what I call your ‘longevity bonus,’” explains Brandt. And you don’t need to wait until your 70s or 80s to get started: By making some changes right now, no matter your age, you’ll be better equipped to thrive down the line. Start with these five simple steps. (Live more powerfully and joyfully, and change your life for the better with Live Well, Die Happy. )Instead of fearing the realities of aging, accept them. 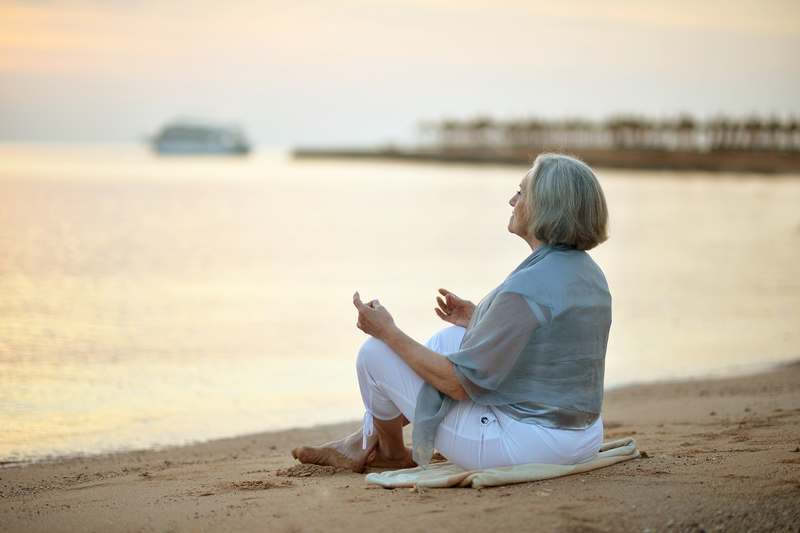 If your anxious mind is racing so much that you can only concentrate on the downsides of aging, try an app like Calm. It features breathing exercises, as well as seven-day “meditation journeys,” which may help you get a handle on your nerves. We all cling to things—bad memories, frenemies we really don’t benefit from having in our lives, even too much stuff lying around the house. “To make room for new experiences, you have to let go of the emotional weight of old ones that don’t help you anymore,” says Brandt. Whether you desperately need to declutter or are feeling guilty about ditching an old friend who no longer brings you joy, start the letting go process by acknowledging that at one time the person, place, or thing in question did serve you, but now it’s time to move on. Better yet, write that all down: Research finds that expressive writing—and coming to terms with your emotions via pen and paper—can be therapeutic. Create a vision for the rest of your life. Taking full advantage of your time starts with knowing yourself well enough to figure out how to spend the remainder of your life, says Brandt. To find out what you truly love, think about what your perfect life would look like if you didn’t have obstacles such as financial constraints or work or family obligations in your way. Would you travel (like to these ultimate bucket list locations), finally perfect your cooking skills, or pick up and relocate?